Please note Tawai A Voice from the Forest (Malayalam) Movie occurred in past. 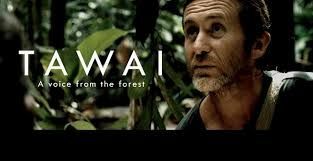 Bruce Parry first met the Penan people of Ba' Puak in the Borneo rainforest while making his acclaimed BBC series, Tribe (2005-07). 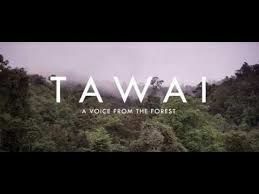 He reunites with them here to learn more about "tawai", their sense of oneness with their locale, which Parry insists can recalibrate a civilisation that's spiralling out of control. Logging and oil have coerced these once-isolated hunter-gatherers into a tentative acceptance of agriculture, as it has with the PirahÃ£ in the Brazilian rainforest, too. Parry consults with experimental psychologist Iain McGilchrist and anthropologists Jerome and Ingrid Lewis to understand why humankind has drifted away from peaceful co-existence with nature into the grasp of consumerism. He has an epiphany while cleansing in the Ganges and pleads with viewers to rethink their existence and show greater empathy in order to preserve the planet for future generations. The former marine's interactions with the remote tribes are deeply moving and, while it may not always be expressed cogently and can occasionally feel a touch New Age, the message of this tranquil, sincere and sensitively made documentary is unquestionably worth heeding.